There is a certain mumbling of discontent in the slots industry right now. Fans of the slots being released at casinos around the world are beginning to feel that the developers are taking their eye off the ball. New titles feel like re-hashed versions of previously launched slots or just feel like half-arsed efforts to fill a void between big branded titles. So it begs the question. If we cannot have creative and original slots on a regular basis being released then is it possible for developers to look at releasing sequels to some of our favourite slots? To extend that question. Which vintage slots that have not yet had a sequel would benefit from having one? Here, I take a look at the top 10 slots sequels that I think developers should crack on and get developing. Check it out! 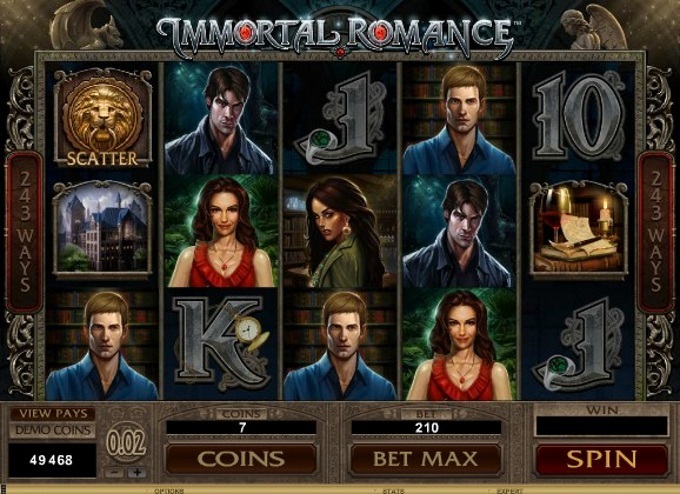 It is one of the slots industry’s great unwritten rules that if you ever go onto an online gambling forum and find a topic discussing everyone’s favourite slots that roughly 50% of those that comment will state that the vampire-themed Immortal Romance is up there as one of their all-time classics. The 5 reel, 243 ways to win slot picked up an army of fans with its decent pay outs and the enthralling Chamber of Spins bonus feature. Free spins, multipliers, and Wilds ensured the original of its place in slots immortality and it’s hard to tell how a sequel could improve upon its predecessor. However, it feels slightly dishonorable to not release a sequel. 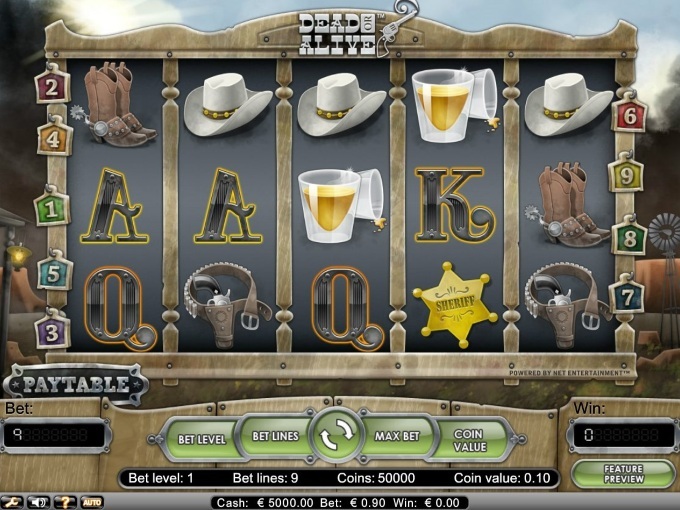 If ever there was a slot that took simplistic slots gaming and turned it into something as compelling as what is offered then the 5 reel, 9 payline Spaghetti Western-inspired Dead or Alive is it. Often touted as NetEnt’s finest creation, it has gone down as one of the slots that players turn to during their lean times. The combination of free spins and Sticky Wilds guarantees an action-packed time at the reels and there have long been calls for the slot to have a sequel made. Add in a few more bonus features on top of the attributes that made the original a success and there is no reason why a sequel could not evolve the game and take the title to the next level. Very few slots have created such a buzz as the epic Raging Rhino did when it was released. It was a slot that had 6 reels and was intent on taking slots gaming to the next level. It boasts an incredible 4,096 ways to win which is mind-blowing and with up to 50 free spins and Wild multipliers available to hit on the reels it is easy to see why it was so popular. A sequel would benefit from a couple of extra bonus features. Is it even possible to consider a 7th reel and even more ways to win? Or is that just being too greedy? 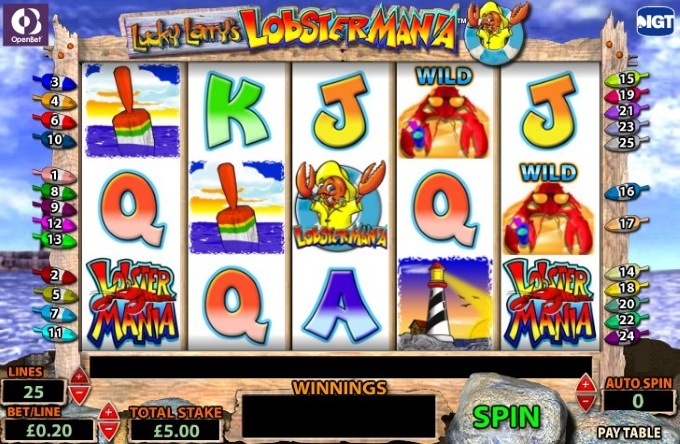 This seafaring Lucky Larry’s Lobstermania title from IGT became a little bit of a cult classic. It had huge success across land-based casinos before hitting the online market where it enjoyed just as much positivity. It was a 5 reel, 25 payline slot that saw players have the chance to win up to 10,000x their bet and fish out lobsters to win cash prizes. 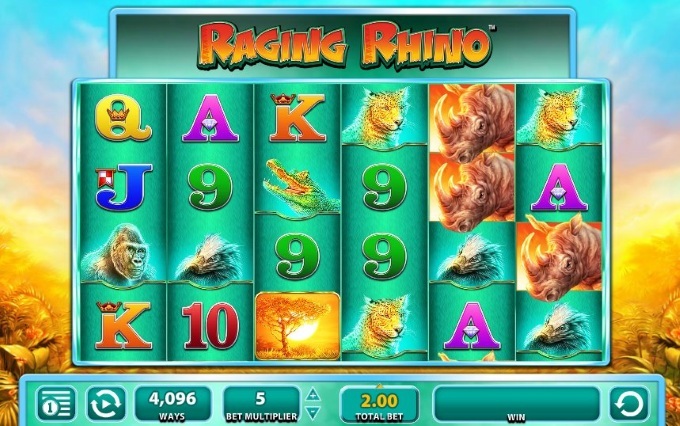 A 40 payline sequel has already hit land-based casinos to a positive reception and there are hopes that it can follow in the footsteps of its predecessor and make a big impact online. Aristocrat are the mega power when it comes to developing Asian-themed slots and the shining jewel in their crown is the 5 reel, 243 ways to win Choy Sun Doa slot. It is perhaps one of the most understated slots. Let’s be honest, any slot that has a theme based on the Chinese God of Wealth is destined to succeed but this slot has really carved its own reputation for being a fun and lucrative title. It has Aristocrat’s Reel Power set up and not only are there up to 20 free spins and 30x multipliers to be won but players can also pick from a choice of red envelopes to win prizes. Could a sequel really do itself justice? A varied Pick ’em Bonus and more free spins could up the ante but it would be a gamble. 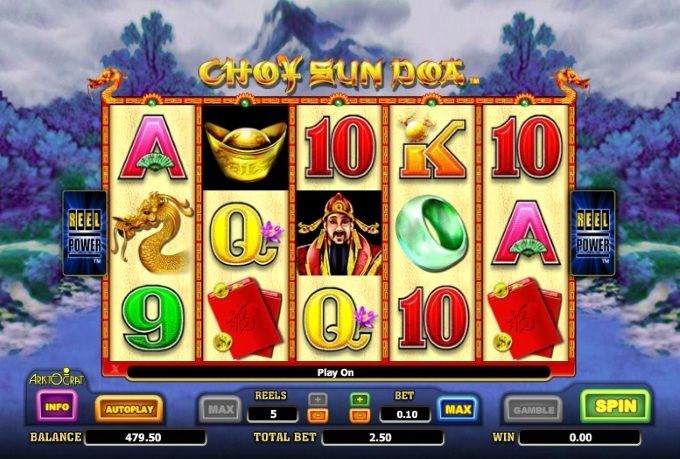 There is a large fan base of this slot that think Choy Sun Doa 2 is worth the gamble though. NetEnt has started to develop an unwanted reputation for being one of the main culprits for churning out monotonous slots that are simply carbon copy designs of previous releases in shiny new aesthetics. Recent titles including the ironically dull Glow and the poorly received Neon Staxx have hit the developer hard. 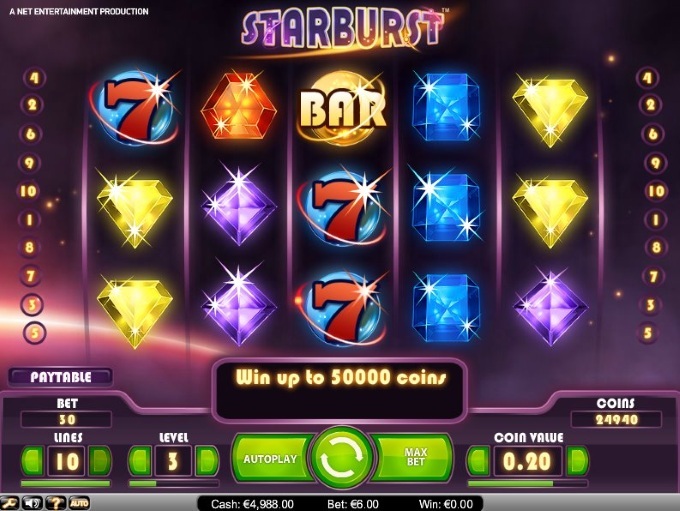 In a way, it has tried hard to recreate the magic from the original 5 reel, 10 payline vibrant Starburst slot with Wilds that are the focal point but none of these slots have hit the same heights. The developer needs to strip it all back. Instead of three reels with Expanding Wilds, there needs to be all five. They might as well double the 50,000 coin jackpot for a sequel as well. Plus, there could be the thrill of some free spins thrown in for good measure. Starburst 2 could really be the boost that NetEnt needs. Unfortunately, it appears the developer is more obsessed with branded slots right now. Their Guns ‘n’ Roses slot had better be awesome! 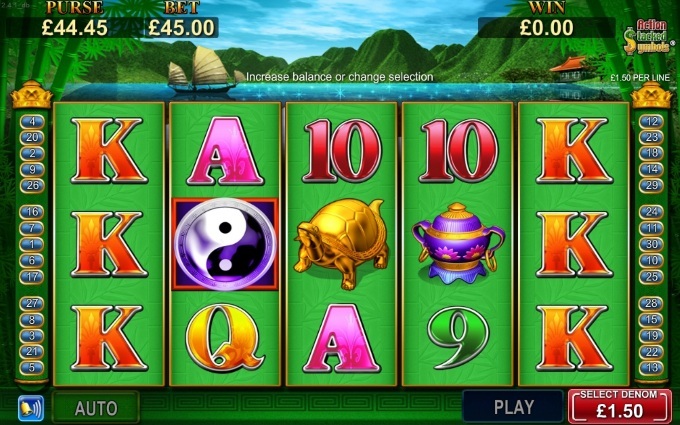 A relatively new addition to the online genre, the colourful China Shores slot showed what Konami Gaming can do in the slots business. If you’ve played any Konami Gaming console game such as Pro Evolution Soccer, Metal Gear Solid or BeatMania then you will be fully aware of the potential they have on the slots front. They have long been established in the land-based market and the introduction of the 5 reel, 30 payline China Shores was a huge statement of intent. Possessing Action Stacked Symbols, Wilds, free spins, and cash prizes this slot appeared to have it all. Fans simply want more. On the visual side the slot could do with some sprucing up and maybe a more interactive bonus feature could expand the wow factor. There is little room for improvement but sometimes the best way to improve is to barely change at all. 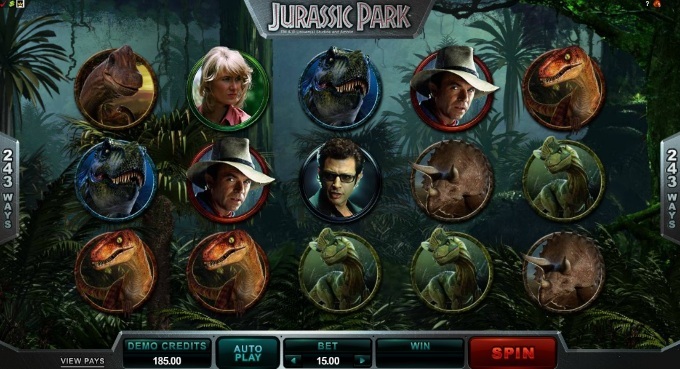 It was 21 years between Jurassic Park the movie being released in 1993 and Jurassic Park the 5 reel, 243 ways to win slot being launched in 2014. Microgaming made us wait a long time but boy did they make up for it with what was one of the slots titles of the year. Every nostalgic memory was triggered along with up to 35 Extra Wilds in the T-Rex Alert feature and five other dinosaur-related bonus features as players encountered John Hammond, Dr Alan Grant, Dr Ellie Sattler, and Dr Ian Malcolm across the reels. This year then saw the highly-anticipated release of Jurassic World in the cinema that received some outstanding reviews. It goes without saying that Microgaming can skip a Jurassic Park II and a Jurassic Park III slot and should head straight to a Jurassic World release. Imagine an Indominus Rex Alert! The relationship between Marvel and the slots industry might have been on an expected path to destruction ever since Disney got behind the Marvel brand but that does not mean there isn’t room for one last hurrah. 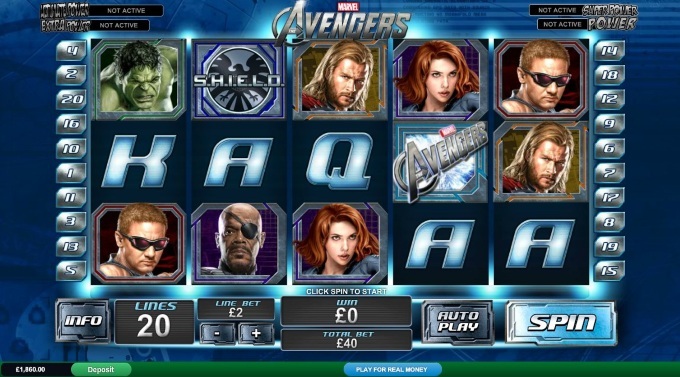 The high octane The Avengers slot was a 5 reel, 20 payline release that was everything a Marvel fan could want from a slot. All of your favourite characters were there including Captain America, Iron Man, Nick Fury, Black Widow, Thor, The Incredible Hulk, Hawkeye etc. They were all there. There was even an Avengers Assemble On Reels feature that tied in with the first movie in the series. Playtech had honestly gone above and beyond. 2015 saw the second movie in the series, The Avengers: Age of Ultron, released in cinemas to rave reviews. Imagine this movie translated onto a slot. An Ultron Bonus where he goes toe-to-toe with Tony Stark? Quicksilver and Scarlet Witch on the reels? If that doesn’t get every Marvel fan gagging for The Avengers sequel slot then they can’t be a true fan at all. Our final slot on the list is from a time when NetEnt were doing things right. 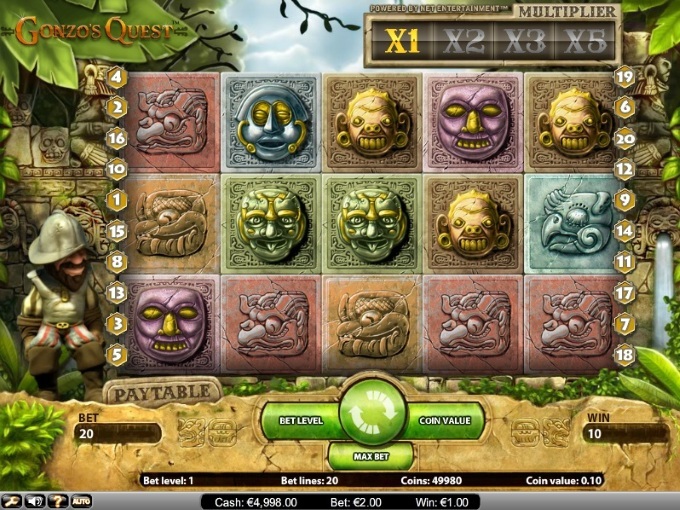 The Aztec tinted slot of Gonzo’s Quest is a 5 reel, 20 payline title with a theme based on Gonzo’s search for the lost city of Eldorado. It had Tumbling Reels, free spins, and multipliers. This was not even a slot that had everything yet it went down in history as one of NetEnt’s finest. A sequel is just dying to be made. Gonzo on a second quest. This time he could be searching for the lost city of Atlantis or on a mission to find a hidden treasure of the ancient Egyptians. Add in an interactive bonus feature and the sequel could really succeed past the heights of the original. This is a list I have assembled but accept that there might be some slots that I overlooked or that you would like to see have sequels that aren’t on the list. Do you agree with this list? Or do you disagree? Give us a tweet on Twitter or a post on our Facebook group with your suggestions.